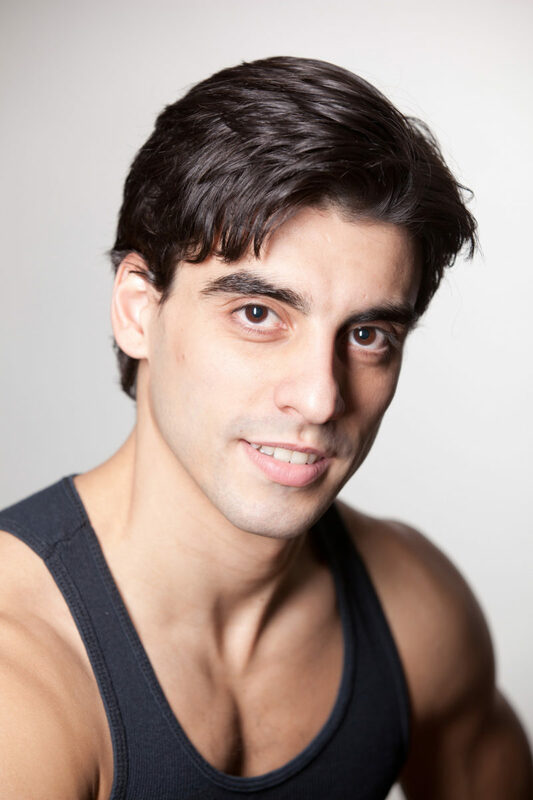 Born in Madrid, Spain, Luis Ribagorda began his dance training at the age of seven at the Real Conservatorio Professional de Danza de Madrid where he studied classic, contemporary and Spanish dance and music with such renowned dance teachers as Victor Alvarez and Lázaro Carreño. In May 2001 Ribagorda took part in the Castellón Contest where he won two scholarships to study with the Compañia Nacional de Danza 2 and the Nederlands Dans Theater II. In December of that year, he won first prize in the Junior Category at tha Zaragoza International Dance Contest. In the summers of 2001 and 2002, Ribagorda was chosen to appear in the Europa Dance Project where he performed roles in George Balanchine’s Allegro Brillante, William Forsythe’s New Sleep, Nacho Duato’s Na Floresta, John Neumeier’s Petrouchka Variations, as well as Michel Fokine’s Petrouchka, Jiří Kylián’s Songs of a Wayfarer and Marius Petipa’s Raymonda and Don Quixote. In November 2002, he took part in the Roseta Mauri International Dance Competition in Reus, Spain, winning a scholarship to The Royal Ballet School. Ribagorda joined the Boston Ballet in 2003 as a member of the corps de ballet. His repertory with the company included soloist roles in Don Quixote, Stars and Stripes, The Nutcracker, Drink to Me Only With Thine Eyes and Swan Lake. Ribogorda joined American Ballet Theatre as a member of the corps de ballet in August 2004. Mr. Ribogorda’s performances with American Ballet Theatre are sponsored by Donna and Richard Esteves.